Livingston is the home of a large Indian community, representative of India's multicultural diversity. "Asian Indians in Livingston", a community based civic participation effort was initiated in the early 1980s. (The Indians were classified as Asians in 1980, hence the name). For 25 years, it has functioned primarily with adhoc group of volunteers, to facilitate adaptation and integration into our new homeland. 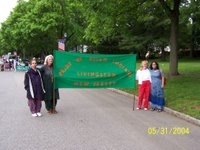 This year, 2009, marks the 25th anniversary of active participation in the Memorial Day Parade. Over the years, many Asian Indians have proactively contributed to Livingston's well-being and improved quality of life. In April 2008, some residents new to Livingston's civic participation joined Anju Bhargava in the "Asian Indians in Livingston" initiative. Collaboratively, a yahoo group "Ailiv" was created as a means of communication within the Indian community. 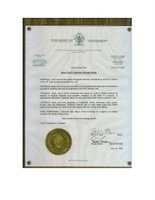 Additional programs were organized beyond the recurring ones such as the Memorial Day Parade. The "Ailiv" moderators participated for the first time in Livingston's civic activities and were introduced to many township committees. As of June 16, 2009, building upon the foundation developed over the past 25 years, the moderators have now branched into a new web identity (under the same name) to communicate their new vision. In 2008, The Indian School was formed in Livingston as a separate identity and receives the support of the entire Indian community. During 2008-2009 The Indian School received technical guidance from HindiUSA and functioned under their not-for-profit status. In the upcoming 2009 - 2010 year it is associated with the World Hindi Foundation which is an international pioneer in the educational field. It is a matter of pride for all that Livingston's Indian community has many active volunteers and groups dedicated to serving the needs of the community through their diverse visions and niches. Leveraging the learning from civic and interfaith participation in Livingston, in 2009, Hindu American Seva Charities was formed as a collective initiative to mobilize talent and resources to address contemporary social services needs collaboratively, across the country. The children from The Indian School participated for the first time. They made 150 cards for the soldiers in Iraq. They also painted and decorated over 150 placemats for senior citizens. - Served on the Boards of Livingston Symphony, YMCA and Arts Council. - Worked with League of Women Voters, AAUW, Lions and Rotary Club. - Walk aroung the oval - July 26th at 7:30 p.m.
- August 23rd Hindi School training to get familiar with curriculum, teaching styles,and tips. (More volunteers needed to teach). - September 4th - Free Music and Dance Program by Handicapped Girls of Manthan. Contact Daksha Modi for details. - September 8th - New Livingston Residents picnic, 5:30-7:00 in the community center. Ailiv will participate. October 1 Gandhi Jayanti Celebrations in October - Supported Livingston's CHOW - Community Hunger Outreach Project. Donated peanut butter jars.